Trust me, there are many things I’d rather be sewing, than stuffed animals. The list is endless really. But sometimes, you just gotta give ’em what they want. Meet Domo. I can kinda get into this latest character obsession of Jet’s. 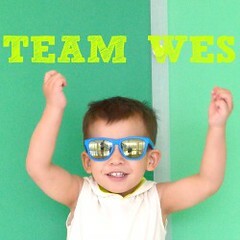 Pretty stinking cute. Domo appears on Japan’s version of Nickolodeon as some kind of network mascot. Maybe he is in video games too. He’s been around for a while it seems, but my kids only recently discovered “Domos” in a vending machine at the pizza place we frequent. I probably said something like, “those would be really easy to make,” and that was enough for Jet. He actually wanted to learn how to sew for a few seconds there. Alas, I sewed. He stuffed. I’ve learned my lesson this summer- keep it even-Steven, and we’ll all get along. Awe! How great is that smile?! 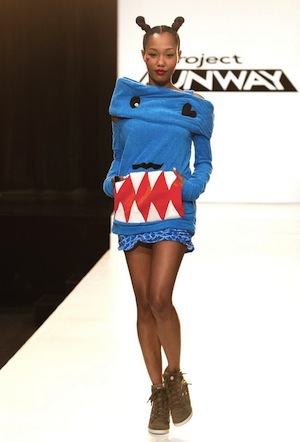 Now that I am hip to the Domo, I raised an eyebrow when I saw this look down the runway. Ya’ll watching this season? Was Dom’s (yes, that happens to be her name) look referencing Domo? They didn’t mention it. Now, check this out. I found this while searching for Domo images. It dates back a few years. Veddy Eeenteresting. Upon further investigation, the original image was altered. The ridiculous brown sweater dress was a real runway garment, but some clever person out there photoshopped the eyes and mouth on there. Hilarious! Perhaps Dom took inspiration from this silly hoax? Wouldn’t you know it, discussion ensues on the PR website. 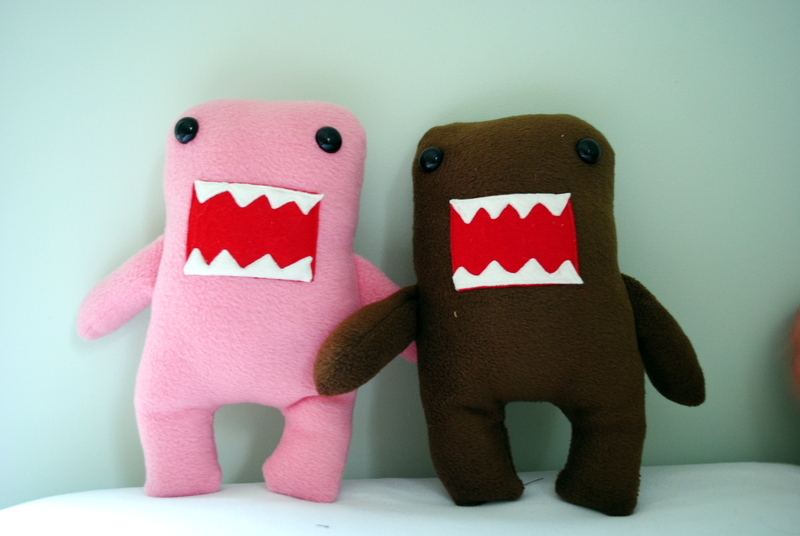 If you’d like to make your own Domo, there is a nice little video tutorial for a handsewn one on youtube. Good luck going back-to-school everyone! Weird, I crocheted something like this years ago. And that brown dress is hilarious. i love the photo of your kids together! soo cute!! and those runway dresses are too funny! I love it! 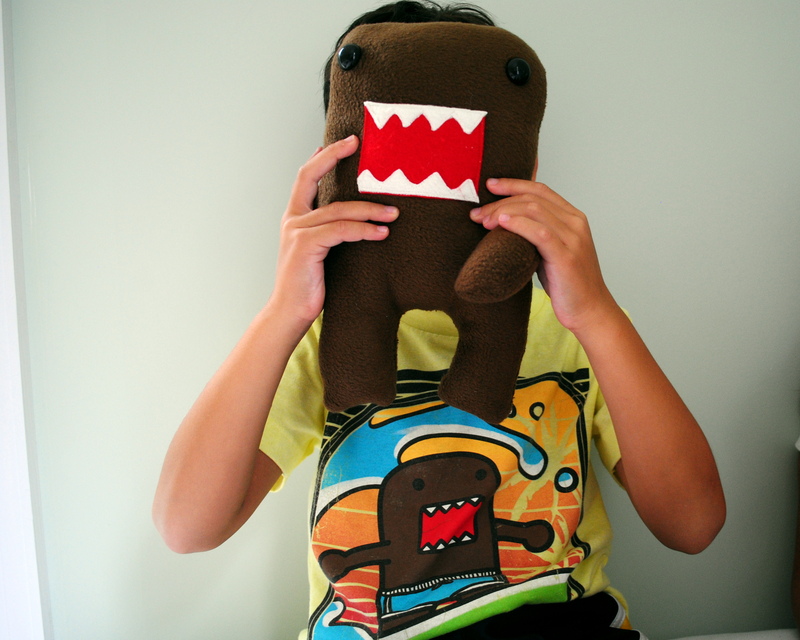 My son had a Domo that he loved and called Brownie for years. He just recently sold it at our garage sale this summer. 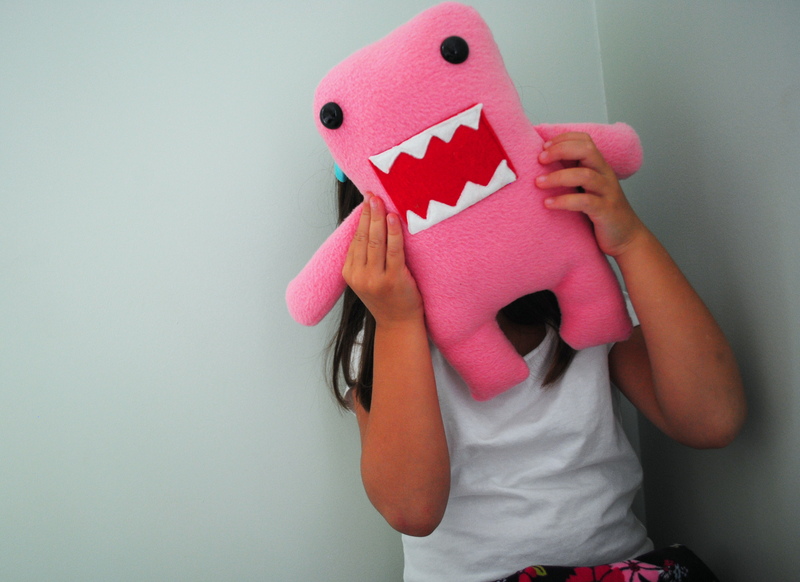 I have always thought Domo was a cute and quirky design for a stuffed animal and should have just stuck the thing in my son’s memory bin for kicks. Oh well. ha! 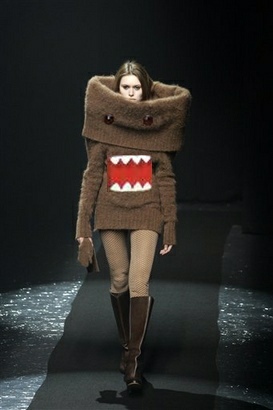 the domo dresses are cracking me up. 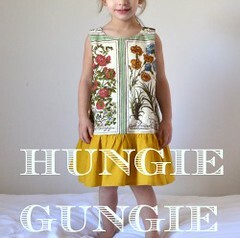 would be cute on a kid’s dress though…roller skate hack, anyone?